Receive photos of your child straight to your phone. Camp’s over, but the memories aren’t! Get all your fave camp pics with Waldo! Hi there camper parents! Camp’s over, we know. But that doesn’t mean the fun has to be too. Use Waldo to get all your camper’s photos! If you missed signing up for Waldo, you can enroll to get all your camper’s pics from the summer in one easy app! Just text the code BARNABAS2018 from your phone to 735-343. Already signed up for Waldo? Awesome! Just open your Waldo app and then view, post, download hi-res versions, or print all of your camper’s pics right from the app. Text Barnabas2018 to 735-343 and follow the prompts. Once you submit a photo of your camper’s face and enroll in the service. Waldo does the rest! Need help? Email [email protected]. Prefer to search for your camper’s photos yourself? View the free photo gallery at waldophotos.com/galleries and enter code: Barnabas2018. You submit a photo of your camper’s face and enroll in the service. Waldo does the rest – matching that photo to all the pictures in your camp album and sending you all YOUR camper’s pics. How many photos of my child can I expect? In the course of the week, by purchasing this service, we guarantee 5-8 photos of your child each week of camp. What if I am not satisfied with the service at the end of the week? This is our first summer using this service and our camp photographers work very hard and are doing their very best to capture camp and every camper and missionary. That being said, Waldo guarantees 100% satisfaction. If you are not happy with the service at the end of the week please contact Waldo Photos at [email protected]. Is there addition cost to download the photos? Nope. Photo downloads are included with the service. Will Waldo share my camper’s photo or matched photos with the world? Yep! 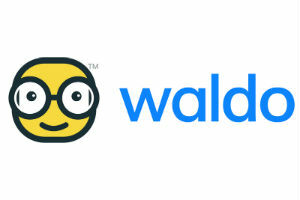 You can order prints from the Waldo app.